Ah, there's nothing like a good argument! No, we don't mean the kind of argument where you scrunch up your face, disagree, and stomp around angry. We mean the kind of argument where you share your thoughts with others, and explain the reasons behind them. 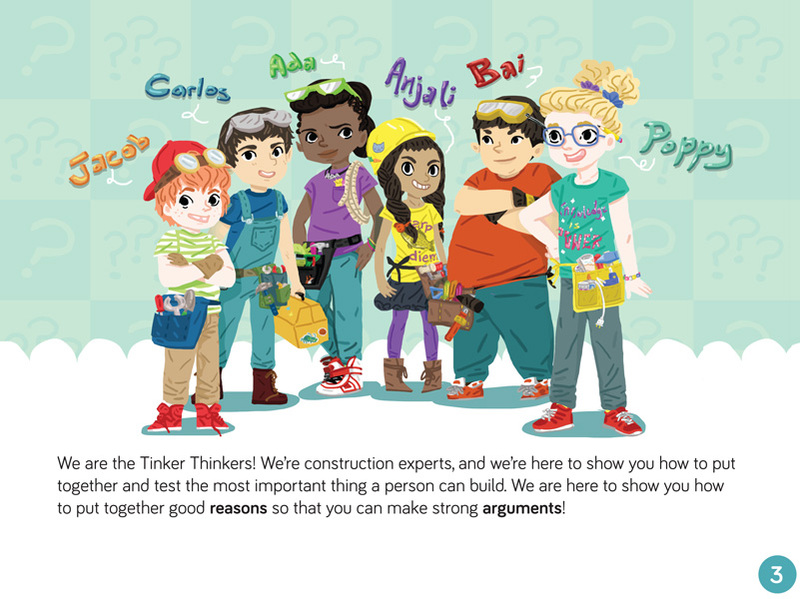 Equipped with the tools of logic and reason, this team of pint-sized ponderers build their way to better ideas. 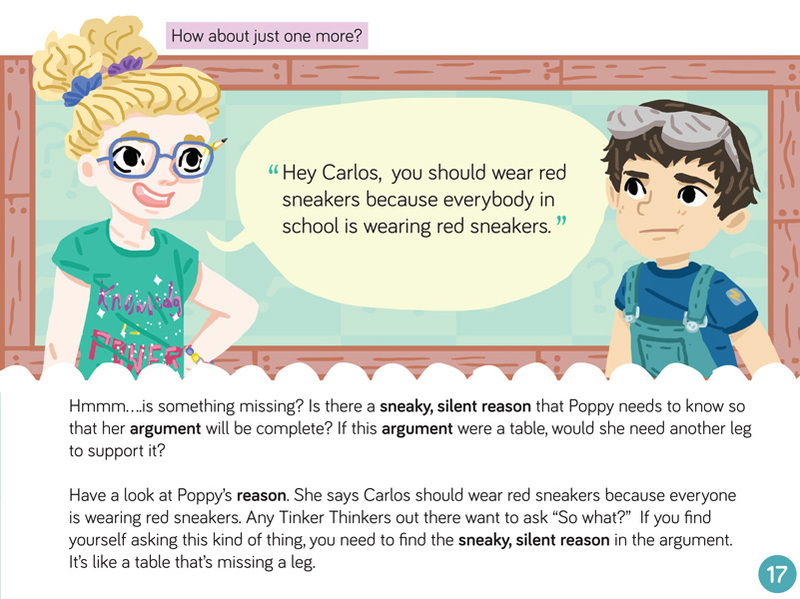 Join them as they explore the parts of an argument, and learn new ways to test its strength. 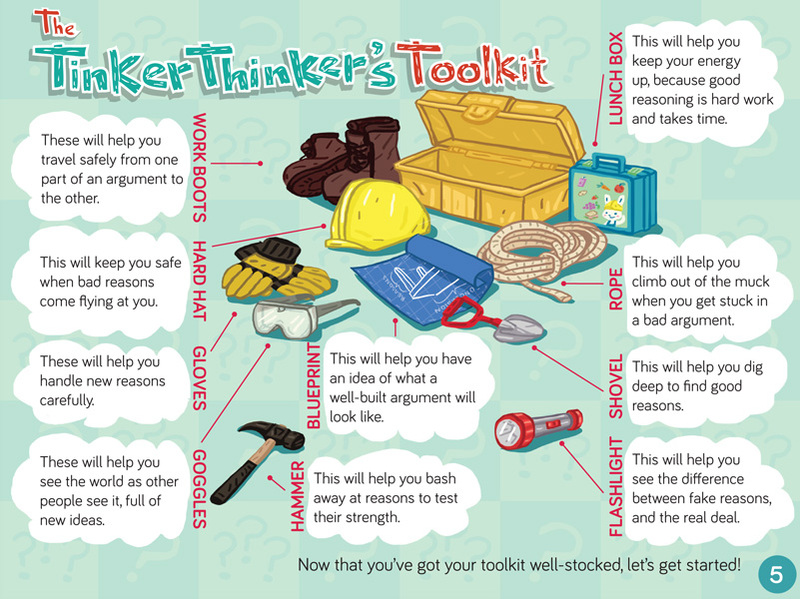 You'll find that building an argument is one of the most important skills a person can learn...and it can be fun too!